Among the most common sources of back pain are former sports injuries, overuse, and muscle spasms, but the most prevalent cause is actually a disc disorder. What is a Disc Disorder? The body’s natural reaction to a disc disorder is to lock up and immobilize the affected area to keep it from suffering further damage. This constraint is often interpreted by patients as tightness or spasms of their muscles, and so they rarely seek necessary treatment until their symptoms worsen over time. 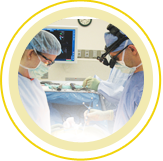 How Can Spine & Scoliosis Specialists Help with a Disc Disorder? If you start to experience muscle spasms, you should start by applying ice to the area every 20 minutes or so to dull the pain. If spasms continue to occur after 72 try to treat the area using a heating pad or by soaking in a tub full of warm water. Any spasms or back pains that persist after these preliminary treatments should be assessed by a licensed professional, as they are likely being caused by a disc disorder. 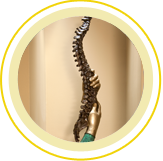 Once the particular disc disorder has been accurately identified, Spine & Scoliosis Specialists will be able to recommend an individualized treatment plan based on your specific case. To schedule a consultation, please call our local office today at (336) 333-6306 or submit a request online using our secure form. This entry was posted in Back Pain, Herniated Disc. Bookmark the permalink.